The café is open Tuesday to Saturday, 10am to 3pm. 20-21 is fully accessible to pushchairs and wheelchairs. There are parking spaces for blue badge holders in front of Church Square House. For further information about access issues at 20-21 Visual Arts Centre please contact us using our online form or call 01724 297070. 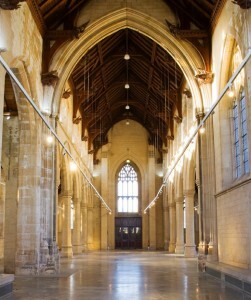 To avoid disappointment all organised groups should contact us before their visit. Groups of more than 10 taking part in free activities will be charged £11.50. For booking and further information, please contact us using our online form or call 01724 297070. 20-21 is in the former St John’s Church situated in Church Square, between the end of Scunthorpe High Street, and Brigg Road. 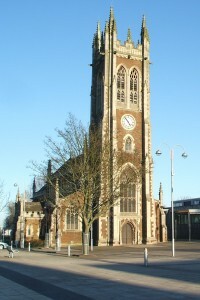 The entrance to the centre is in Church Square, in the new building to the right of the church clock tower. Exit the M180 at junction 4. Follow the signs to A18 (Scunthorpe) and then the A1029 (Brigg Road). 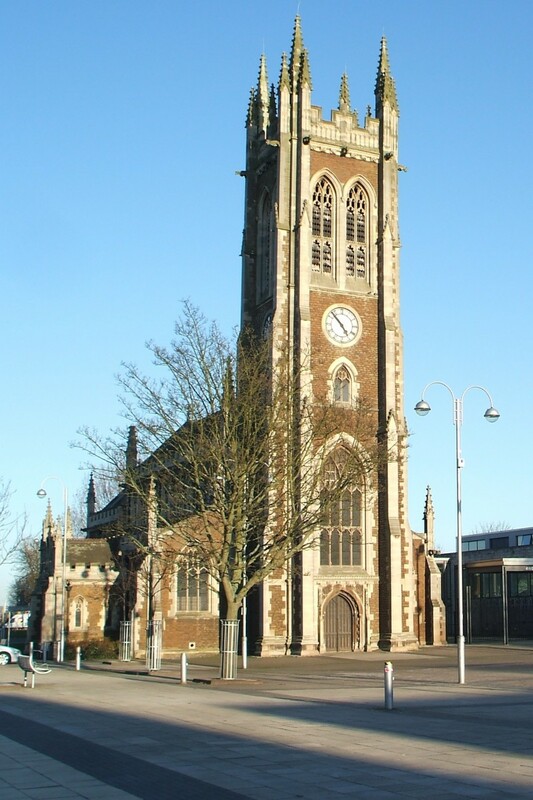 Limited free short stay parking spaces (one hour maximum) are available adjacent to the church building in the High Street (Sat Nav postcode: DN15 6TB). There is also a pay and display car park on Carlton Street (Sat Nav postcode: DN15 6TA). This car park is a five minute walk from 20-21. Once you’ve parked, exit the car park and turn right. Walk down to the end of Carlton Street. This brings you out into Church Square. Look to your right and you will see 20-21 Visual Arts Centre. North Lincolnshire Council car parks in Scunthorpe offer up to two hours parking for free and are free of charge all day Saturday. When taking advantage of the two hours free parking a free pay and display ticket must be obtained from the ticket machine and displayed in your vehicle. The nearby Parishes multi-storey car park is free after 2pm during the week. For more information visit North Lincolnshire Council’s parking information pages. Parking for disabled badge holders is available adjacent to the library at the end of Carlton Street (Sat Nav Postcode DN15 6TA) and adjacent to Church Square House on High Street East (Sat Nav Postcode DN15 6NL). 20-21 Visual Arts Centre is a 15 minute walk from Scunthorpe railway station. Exit the station and turn right. Walk along Station Road until you come to a pedestrian crossing. Cross the road here and continue along Station Road until you come to Carlton Street, on your left. Turn into Carlton Street and walk down to the bottom of this road until you get to Church Square. Look to your right and you will see 20-21 Visual Arts Centre. Regular hourly cross-country express and local Northern Rail services run to Scunthorpe on the Transpennine Express route between Manchester and Cleethorpes with high-speed connections to London and the North East via the East Coast Mainline at Doncaster. 20-21 is a five minute walk from Scunthorpe bus station, through a pedestrian area. Exit the bus station via Jubilee Walk, between Wilkinson’s and BHS. Walk through The Foundry’s covered shopping arcade. Turn right after Westgate Department Store and continue ahead into Church Square. You will see 20-21 ahead of you. There are regular bus services between Hull, Barton and Scunthorpe. More information on the Humber services can be found here and here. Scunthorpe is connected to the National Cycle Network via routes 1 and 169. From the railway station follow the cycle lane east along Station Road, and turn left onto Carlton Street at the second set of traffic lights. Head to the end of Carlton Street and across Church Square to the right. 20-21 Visual Arts Centre entrance is next to the Church Building. There is a cycle rack adjacent to the building entrance. We do not allow food or drink in the exhibition spaces. For the safety of visitors and artworks, we do not allow running in the gallery. Climbing or walking on any of the building’s architectural features is not permitted. Touching the artworks is not allowed unless stated otherwise. We are a family friendly venue and visitors that are acting in a disruptive way or using unsuitable/abusive language will be asked to leave. We encourage parents/carers to visit with their children. 20-21 cannot accept parental responsibility for unaccompanied children. Non-commercial photography is allowed in the gallery unless we specifically stated otherwise. 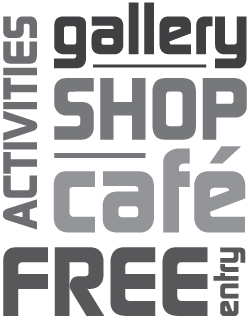 If in any doubt ask a gallery assistant, or contact us in advance on 01724 297070. For enquiries about commercial photography and filming please contact us on 01724 297070 or via the email form. Donations for free activities are gratefully received.